Severe thunderstorms amounted for the most of that list at “$14 billion,” while winter storms/cold waves tied with the wildfires/heat waves/droughts group at $1 billion each. Either way, extreme weather costs a lot, and homes and vehicles alike share the losses. As we have all seen, hail season is already well established for this year. That means the season for extreme weather is just getting started. For this, we want to make sure you are prepared for what may come your way if you and your family are affected. Do you know what to do when extreme weather strikes? So when you start to see those Colorado insurance rates rise, just remember to look to the sky because that’s where they came from. 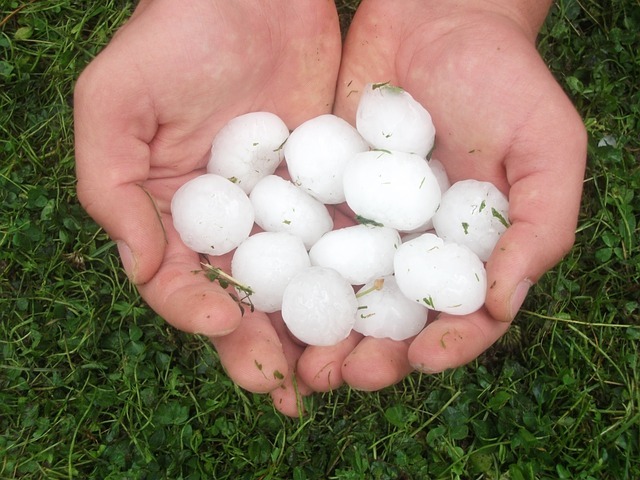 After this year’s May storm being dubbed as “the costliest hail storm ever for Colorado,” you may see rates rise again. Since the number of homeowner’s claims filed was almost evenly split with the number of auto claims, you may see roofers begin lurking around, checking your roof and offering work. Just remember to be cautious as this occurs. Do your research! Check out the name of the roofer at the Better Business Bureau, ask for referrals and do NOT pay any money for the work up front. Also, do not wait to report claims. The sooner you report them, the better – even if they are backed up with others. As Lori mentioned in her letter, remember to call and update your policy once your new roof is completed. Some insurance companies give a credit for Class 4, Hail Resistant roofs. We hope that this won’t be as big of a problem as hail is in the state, but we have seen some surprising catastrophes in the last few years. Remember the 100-year flood of 2013? While this is not a common event in Colorado, it is certainly a case where you would be happy to know what your coverage is ahead of time. – Homeowner’s policies typically do NOT include coverage for flooding or earthquakes. – There is a 30 day waiting period before separate flood coverage goes into effect. So if you buy a flood plan, 3 days before a major flood occurs, you will not be covered. – If you are in a flood zone, your mortgage company usually requires flood insurance. However, even if it is not required, it might be a good idea for you. Flooding happens and there are ways you can minimize the damage costs. Go to Travelers flood prevention checklist here. The good news here is that tornadoes and wind damage generally ARE covered by homeowner’s insurance. Since tornadoes can do damage to a larger portion of the house, it is good to check coverage of your personal property on your homeowner’s or renter’s policy and do an inventory of the items in your home. Something to consider with your vehicle is whether you have full coverage or liability only. Remember that if a tornado (or any other type of weather) occurs, your vehicle must have comprehensive coverage. Liability only will provide no coverage to your vehicle from extreme weather. You can call your agent to review your homeowner’s/renter’s or auto policy coverage. Unfortunately, much like hail, Colorado racks up a lot of the nation’s statistics on wildfire destruction too. According to the RMIIA, “The most destructive wildfire in Colorado history is the June 2013 Black Forest Fire. Estimated insured losses totaled $420.5 million.” Luckily, we don’t take the whole cake, as California holds the award for the costliest wildfires in the nation’s history. However, we are not far behind them. The good news is a lot of experience has helped experts and residents find preventative methods to minimize fire damage to a home (and if you are living in the mountains or foothills, mitigation is definitely a need-to-know for homeowners). Here is a wonderful resource from RMIIA about community protection, house mitigation, etc. As it gets closer to winter, we will discuss more of the preparations for snow/ice damage prevention and claim processes as well. In the mean time, here is a list of resources for the above mentioned types of severe weather, but when in doubt, just remember to call your agent and KNOW your coverage.